“Bourgeoisie” in the people’s interest? On promoting competition in the economy, Radebe said the Competition Act would be strengthened to prevent monopoly pricing of goods such as steel and heavy chemicals. This would make local manufacturing more competitive, and support infrastructure investment. … Radebe was heckled from opposition benches when he said the emphasis would be on “creating black industrialists in productive sectors of the economy, and developing a patriotic black bourgeoisie”. Is a “bourgeoisie” reconcilable with populist politics (and competition law)? One cannot help but wonder what the connection between the elimination of the so-called “white bourgeoisie” and the reduction of “over-concentration” in the economy may be, if any. In Marxist philosophy, the term bourgeoisie denotes the social class who owns the means of production and whose societal concerns are the value of property and the preservation of capital, in order to ensure the perpetuation of their economic supremacy in society. Radebe’s vision of a better & more competitive society? 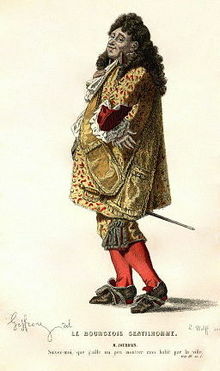 Replace Monsieur Jourdain with a new version of Sandton’s bourgeoisie? How the SA antitrust watchdogs (the Competition Commission and the Competition Tribunal) were going to be “further developed” – structurally, scope/jurisdictionally, personnel-based or otherwise – was not immediately clear. The remarks were part of the minister’s statement in the parliamentary opening debate on the president’s state-of-the-nation address.